Interest in U.S. colleges and universities is increasing. Applying to U.S. schools is a long process which is unfamiliar to most Canadians. Furthermore, U.S. schools will require either the SAT or the ACT. When: Saturday May 7, 2011 – 5:00 p.m. – 7:00 p.m. Registration – Required! Please email: satreasoningprep at gmail dot com or register through EventBrite. Make sure that you include your: name, address, telephone number and tell us where you would like to apply. 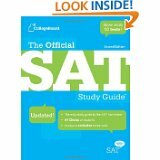 This entry was posted in SAT preparation, U.S. college admissions and tagged Ivey League, SAT Canada, SAT courses, SAT math, SAT prep, SAT reading, SAT reasoning test, SAT scores, sat test dates toronto, SAT Toronto, SAT tutoring, SAT writing, U.S. colleges on March 3, 2011 by admin. Read the complete article about SAT Preparation by clicking here. This entry was posted in SAT preparation and tagged free SAT prep, IELTS or TOEFL, SAT Canada, SAT courses, SAT math, SAT reading, SAT Toronto on November 4, 2010 by admin. This entry was posted in Uncategorized and tagged SAT Canada, SAT math, SAT prep, SAT reading, SAT scores, SAT Toronto, SAT writing on October 8, 2009 by admin. This entry was posted in Uncategorized and tagged SAT Canada, SAT courses, SAT math, SAT prep, SAT reading, SAT Toronto, SAT writing on October 7, 2009 by admin.